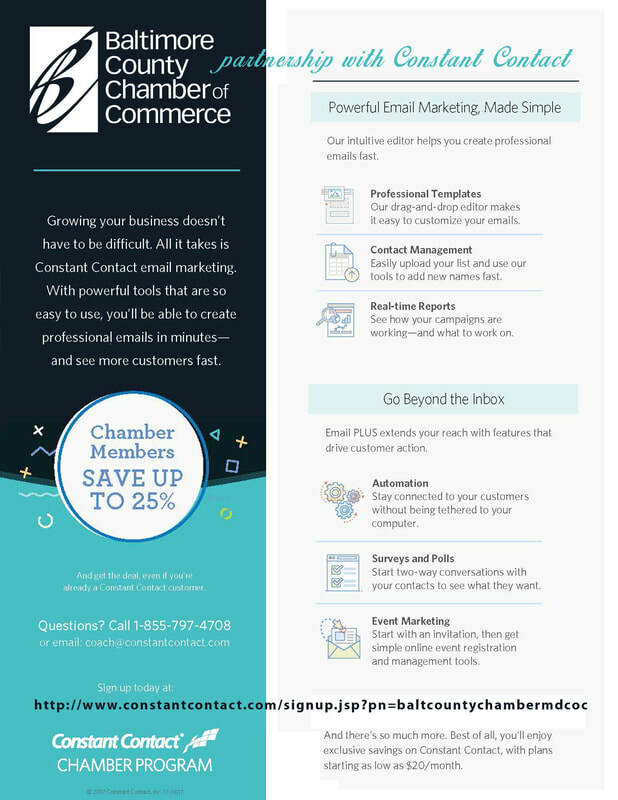 We are excited to partner with Constant Contact to offer Baltimore County Chamber members a 25% discount. Just click on this link to sign-up. You can even start a free trial. If you're already a chamber member and want to take advantage of this discount, just give Constant Contact a call and let them know you're a member of the Baltimore County Chamber of Commerce.